A beautiful pie-making princess is trapped in a tower. Can Sir Wilbur rescue her? And more importantly, can he do it while wearing a tutu? He's going to try! But if you read the story too quickly, Ned won't be able to make the pictures or costumes in time. And happily-ever-after may start to go a bit haywire. 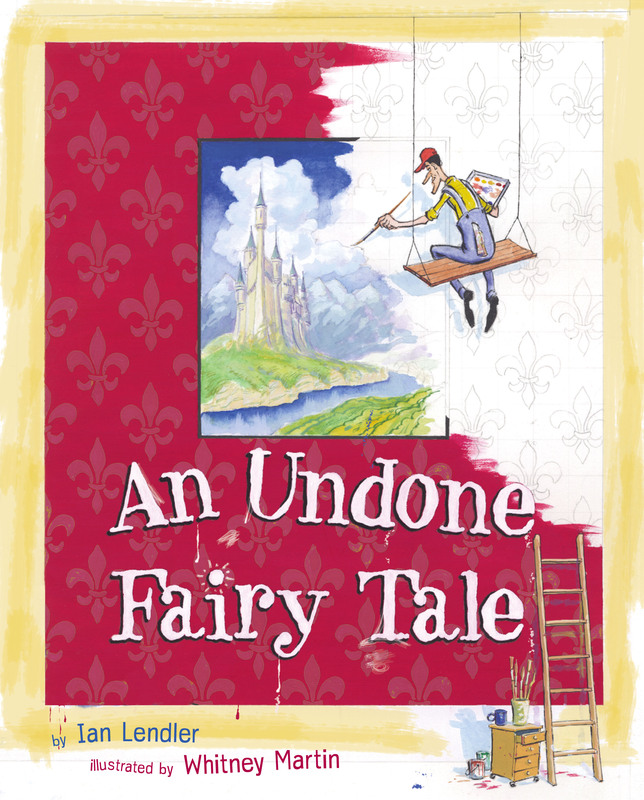 Join Ian Lendler and Whitney Martin for a fairy tale that takes off into hilarious uncharted territory -- all because you won't slow down! Ian Lendler is the author of the award-winning graphic novel series, Stratford Zoo Presents...; the picture books An Undone Fairy Tale, Little Sid, and One Day a Dot; and the middle grade novel The First Dinosaur (illustrated by C.M. Butzer). If he had to be one sort of dinosaur, he’d probably be a chicken (yes, they’re dinosaurs, too). Whitney Martin is the illustrator of George Foreman's picture book, Let George Do It! He has spent the last ten years working in animation for Disney feature films and Fox TV's King of the Hill. Whitney's illustrations have been featured in magazines, galleries, and cable television shows. He lives in Santa Fe, New Mexico, with his wife and two sons.